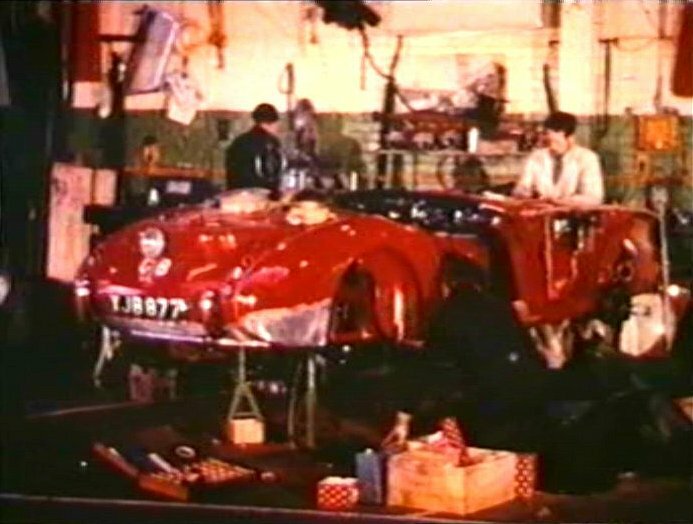 IMCDb.org: 1961 Austin-Healey 3000 'XJB 877' Series I [BN7] in "30 Years of the RAC Rally, 1991"
..What's the extra lump in the boot.? I believe its to allow for a stack of spare wheels (necessary for more than one for rally use). 1960 Austin-Healey 3000 [BN7], there were 24 BMC works vehicles produced 1959-64, as this preserved example http://www.classicdriver.com/uk/magazine/3500.asp?id=12074. 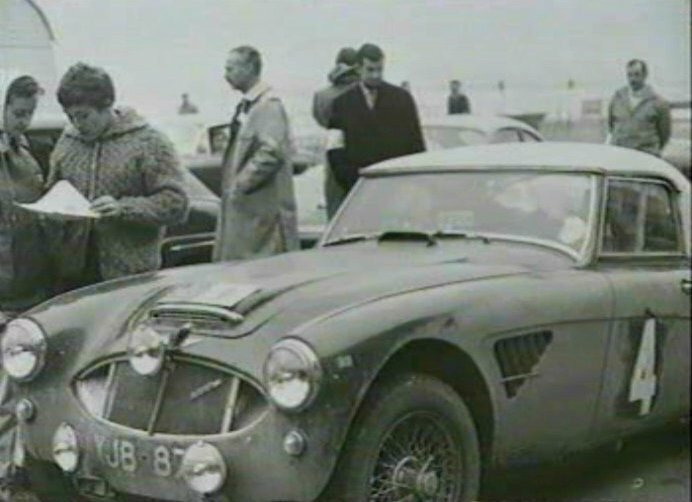 1960, Pat Moss and co-driver Ann Wisdom won the Coupe des Dames in the Geneva Rally. Same year, Tulip Rally (eighth overall), Coupe des Alpes, (second overall-class win), winning the Liège-Rome-Liège event. 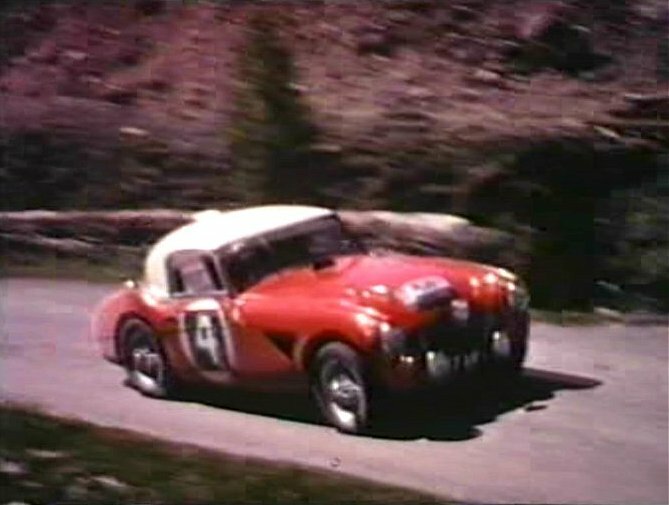 This actual car XJB876, driven by Donald and Erle Morley, won the 1961 Alpine Rally. I'm confused, some of the pics have different registration numbers. Last thumbnail appears to be yjb877, third thumbnail has different mark but I can't read it. Are all pics supposted to be the same car? Pat Moss/Ann Wisdom entry #4 in 1961, finished 2nd. I think they're both in left of photo. Plate was XJB 877. 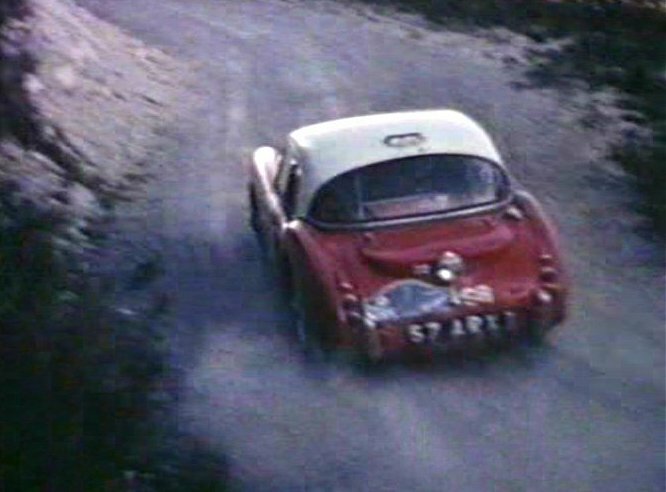 First 2 thumbs are 1963 Alpine Rally, #4 Don Morley/Erle Morley, retired, 37 ARX - /vehicle.php?id=45451 . 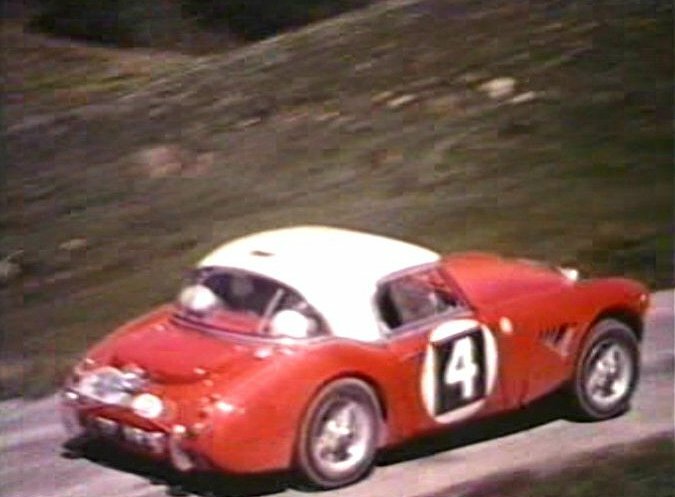 3rd thumb is Morley brothers again in works car 57 ARX on 1962 Alpine Rally, #5 - winners.